First, let me show you the lining. It’s a beautiful Fendi that looks more chocolate-y in colour than grey, but somehow works really nicely with the Charcoal Intenso wool/cashmere that I can’t seem to stop stroking! By the way, if you haven’t shopped at Tessuti, you’re missing a real treat! The staff is divine, and so helpful! Rachel went above and beyond, I mean seriously, amazing! She helped me immeasurably, emailing smart phone photos, and sending me a stack of fabric samples in the mail, with so many phone calls to get the fabric and the lining choices just right. It’s my all-time favourite shop for fabric. I spend many a happy hour on their website, and head into town as often as I can to walk around the shop. It is dangerous, I must warn you, but oh so delicious! Alrighty then. I have my fabric all sorted. Now, to find a pattern. 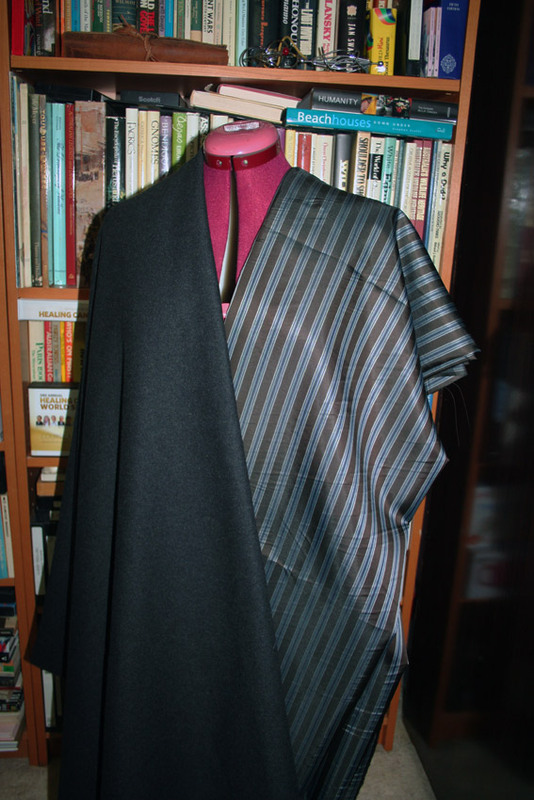 Have you ever thought about making a man’s coat, and then gone online to search for a really good pattern, only to find that there are about three patterns – in total!!! Yeah, it’s so frustrating! If you follow Peter Lappin’s fabulous blog, Male Pattern Boldness, and have read his post about this very subject, you’ll have at least an appreciation for why that might be, even though you may of course, as I am, still be left a little frustrated. 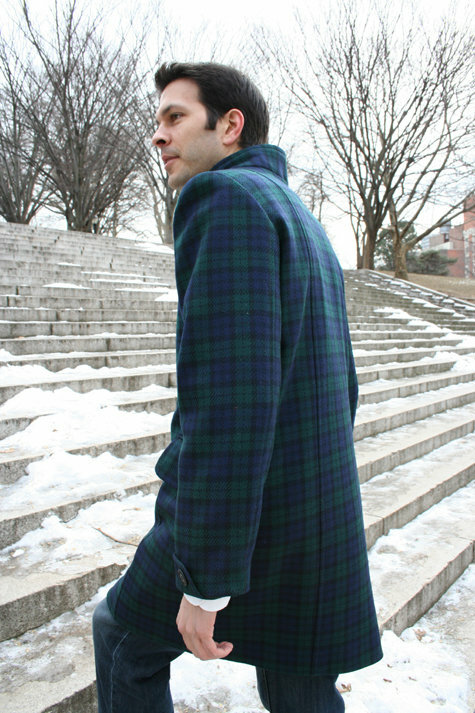 Do you know of a good winter lined men’s trench coat pattern? I’d love to know about it! If you have one and want to sell it, please let me know. Or if I can get a copy somehow? Anyway, I looked further, and found this Burda coat below, and I quite like it. It’s called Adam #6039. What’s with the names they give to their patterns? I always wonder if it’s the model’s name, or maybe the person whose design it is. Or do they just pick a name they like. Anyway, it’s “Adam”. Moshe likes it too, so this is the one I’ll use. 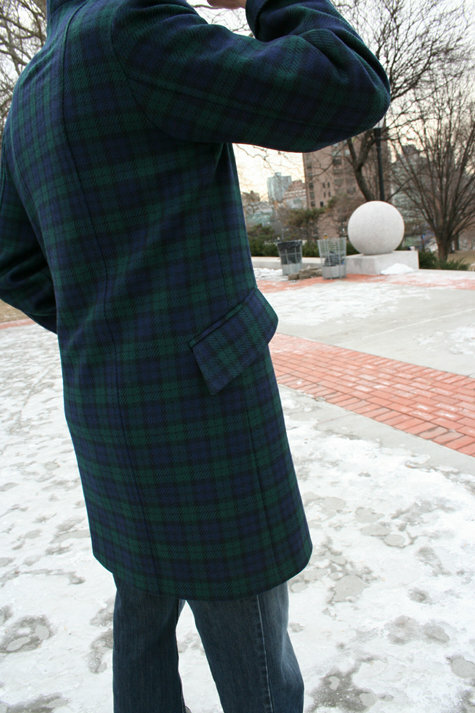 Not that I have much choice, really, given it is one of only two patterns in the world for men’s coats! 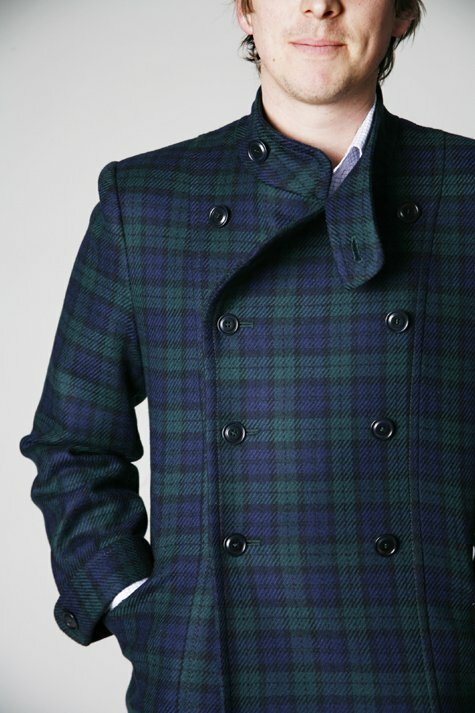 There are heaps of patterns for men’s jackets, by the way, just not for actual coats. But it’s OK, I like it mostly, even though I’m not entirely sure about the front. It might be the photograph, so I’ll have to check it out when I make the muslin, but I might add one more row of buttons to make it look a little better. What do you think? Not crazy about this model! Couldn’t he have fixed his hair? I really like the sleeves! Now, as I was waiting for my fabric to arrive in the post, I had a quick look on my bookshelf to see if any of my books had instruction on tailoring men’s jackets or coats, and I found nothing. 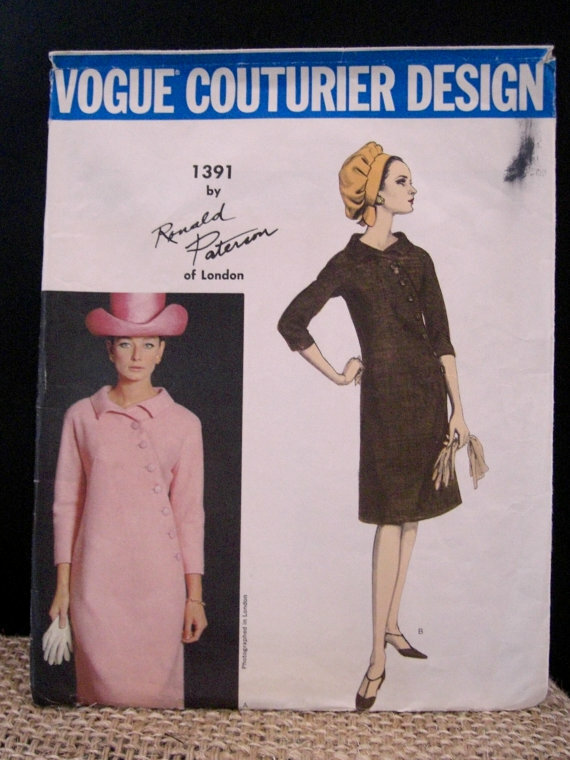 I have a few books on women’s clothing, but nothing that would help me with making this coat with that professionally tailored finish I’m after. After a fairly intensive look around Amazon and The Book Depository, I realized that although there were quite a few books on the subject, I had absolutely no way of filtering out which were the best books to get! So I decided to email Peter Lappin and ask him. He wrote back to me immediately, suggesting a couple of books that would be good, with the Amazon links as well! I bought the first book Peter recommended, Tailoring (Singer Sewing Reference Library) [Hardcover], Cy Decosse (Editor), Renee Dignan (Editor), Barbara Weiland O’Connell (Author). Looks fantastic! The second book was a fairly intense book on tailoring men’s suits, and since I can’t see that in my future, I decided to give it a miss. As Peter wisely suggested. Thanks so much Peter for all your advice! Now I did buy a couple more books while I was on the Amazon site, as you do. Well, as I do. They look fantastic, and I really like Claire Shaeffer. I already own her book entitled, “Couture Sewing Techniques“, which is unbelievably gorgeous to look at, as well as great reference book. 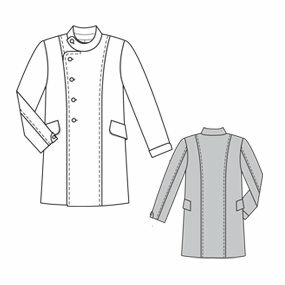 Her “Couture Cardigan Jacket” book isn’t out yet, but I pre-ordered :)And while I was searching through The Book Depository, comparing prices and shipping etc with Amazon, I found Claire Shaeffer’s Fabric Sewing Guide, and decided I had to have that too. Man! I’ve got a lot of reading to do now! But I can’t think of anything nicer than curling up on my couch with one of these fantastic books to read, listening to the cold wind and rain outside, can you? Yeah, I know, I’m imagining the future. The books haven’t arrived yet. And who knows if it’ll be cold and windy and raining then. It is now, so I used a little poetic license. PS! Oops, I nearly forgot! I bought a fabulous vintage sewing pattern on Etsy from Debrasgoods that I really love! What do you think? Like it? And how’s that pink hat!! !